It’s Children’s Mental Health Week this week and we wanted to share these new school resources for Children’s Mental Health Week (4 – 10 February 2019). 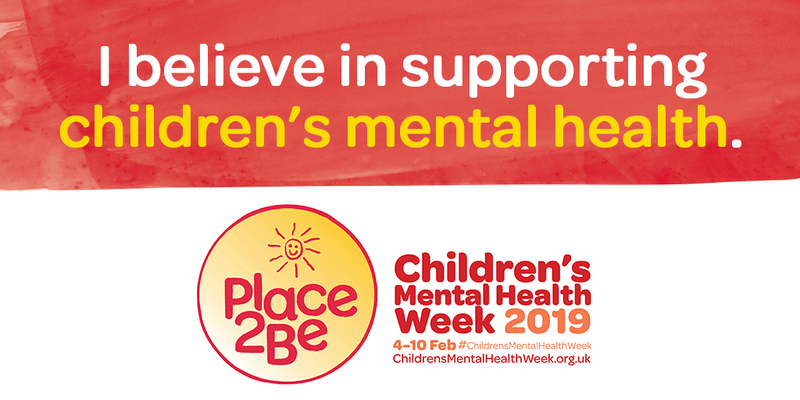 This year’s theme is Healthy: Inside and Out – the children’s mental health charity Place2Be is encouraging everyone to think about how they look after their bodies and minds. Place2Be need your help to shine a spotlight on the importance of children and young people’s mental health. We know from our work in schools that children in every class have diagnosable mental health conditions and many more struggle with challenges from bullying to bereavement. Whether you’re someone who works with children, a parent or carer, passionate about spreading the word, or keen to raise vital funds for Place2Be you can get involved and help us reach as many people as possible.